This is also known as the gait cycle. 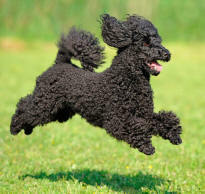 The trotting gait in which the animal leaves the ground during each stride. This increases the amount of ground that can be covered with a minimum increase in expenditure of energy to that used in a supported trot. 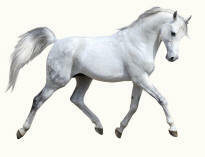 The brief suspension phases of the trot, when momentarily no feet touch the ground, is also known as spring. 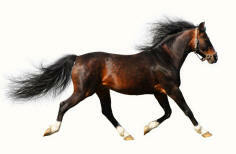 This gait is also known as the flying trot.